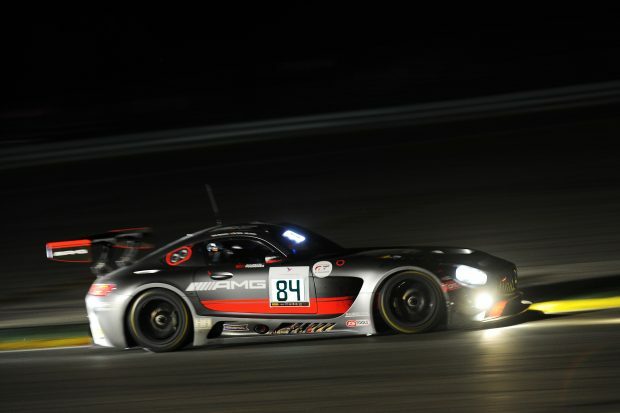 Jazeman Jaafar and his team mates in the HTP Motorsport AMG Mercedes GT3 endured the toughest battle of the season, with an excellent sixth place finish in the Total 24 Hours of Spa, one of the premier endurance races in the world. Jazeman, racing in the factory backed AMG Mercedes GT3 with HTP Motorsport in the Blancpain GT Series this season, rejoined his team mates Dominik Baumman and Maxi Buhk in the #84 car, for the biggest race of the year in the championship, 24 hours of racing around one of the most challenging tracks, Spa-Francorchamps. The weekend began with pageantry and practice, with a traditional driver’s parade of all the cars and drivers in Spa town centre before the action got underway on track. The #84 car ran well in the pre-race sessions, with seventh fastest time in the two qualifying sessions putting them through to the Super Pole session, with a top 20 shootout for pole position. In this final qualifying Maxi Buhk posted fourth quickest lap of the session, however all the Mercedes AMG GT3 cars in the Super Pole session were deemed to have made a technical infringement, with the stewards dropping the #84 car to 17th place on the grid and, along with the other cars involved, were given a 5 minute stop/go penalty to be taken in the first 30 minutes of the race. Dominik was the behind the wheel for the start of the race and after the first lap he pitted to take the penalty, dropping the #84 car to the back of the field. A long yellow caution period for over an hour left no opportunity for improvement on position and after the first hour of racing the car was lying in 53rd position. After seven hours of running and with Jazeman behind the wheel for one of his stints, the #84 was up to 10th place, a sterling effort from the team to have race through the field in just a few hours. Over the ensuing hours the trio kept pushing and making up ground, comfortably running in the top ten in the middle part of the race. The car ran well through the second half of the race, crossing the line in sixth place after a gruelling 24 hours of running. Jazeman will have a few weeks to recover from the Spa 24 Hours race, with his next outing scheduled for the end of August in Budapest.